The Cities100 publications identify, analyse, and communicate 100 solutions for climate action in cities around the world. We completed this project in partnership with C40 Cities and Realdania from 2015 to 2017. More than ever before, there is an acute need for action to solve the challenges posed by climate change. Sustainia along with C40 Cities and Realdania recognised that cities stand at the forefront when it comes to global climate action. Together, we wanted to highlight the potential for a sustainable urban future and inspire other change makers throughout the world. The 100 climate solutions demonstrate the innovative ways in which local governments all over the world are adapting cities and reducing the impact towards climate change, while at the same time creating valuable co-benefits for their economies, communities, and citizens’ health. 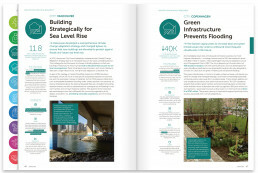 Public campaigns for applications were launched for all three issues of the Cities100, and the applications were vetted and assessed by city and climate change experts at C40 and Sustainia. The top 100 solutions were selected for publishing in the reports. The Cities100 publications have been well received. At the 2017 launch in New York, #Cities100 reached 4.1 million people on twitter. Click here to read the 2017 Cities100 Report. Each of the 300 city solutions from the three publications can be read on the Global Opportunity Explorer, the largest online curated collection of sustainable solutions. 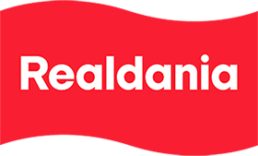 Realdania is a member-based philanthropic organisation, that uses their equity returns to support projects in the built environment: cities, buildings, and the built heritage.